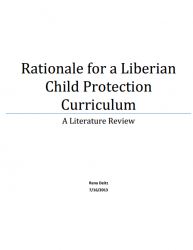 This literature review highlights protection challenges that children face in Liberia, explores current gaps in formal and informal child protection mechanisms, and sets forth the rationale for the development of a child protection curriculum in Liberia. 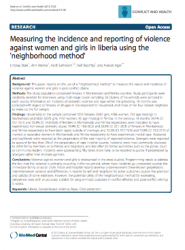 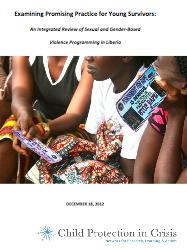 This report presents findings from a population survey conducted in Liberia in 2007 to quantify the magnitude of violence against women and girls in IRC's operational areas. 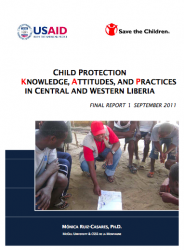 This report provides the initial findings of a Child Protection Knowledge, Attitudes, and Practices Study commissioned by Save the Children as part of the project “Educating and Protecting Vulnerable Children in Family Settings in Liberia” (2010-2014). 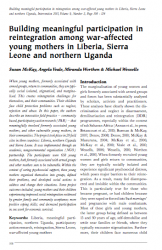 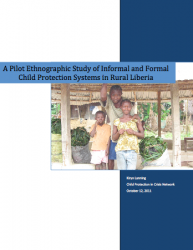 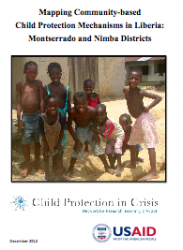 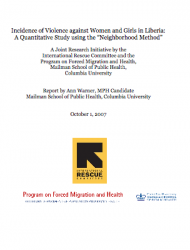 This ethnographic study assesses and maps informal and formal community-based child protection systems in Liberia. 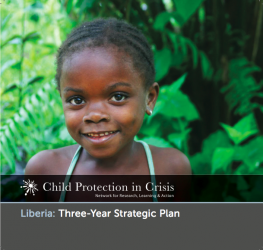 This is the three-year strategic plan for the Child Protection in Crisis Learning Network in Liberia. 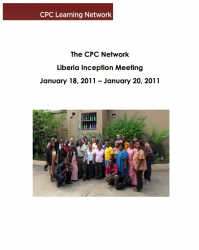 Their priority areas are mapping of community-based child protection mechanisms and human capacity development.The Program Learning Group (PLG) in Liberia was established at in January 2011.